Brands, and branding within large manufacturers can be a little funny, or odd. Even though Nissan and Infiniti are under the same umbrella, they will often do things to ensure they are actually separate. The NISMO partnership with Williams F1 is an example of such. Infiniti already has a pretty good, and expanding relationship with Red Bull F1, however just to be different or perhaps to use some of Williams hybrid technology they chose Williams F1 to be their partner for road cars. Current F1 cars use DRS and KERS to give them a boost during races. DRS is the drag reduction system that opens up the rear wing to give a 10-12 km(6-7 mph) boost in speed. KERS is the kinetic energy recovery system. KERS turns braking energy into propulsion energy though a variety of systems. The 2013 system gives a 80 horsepower boost, the 2014 system will give a 160 hp boost. 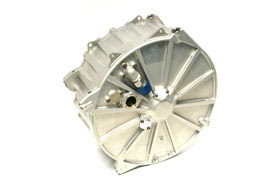 WHP’s electric flywheel addresses many of these disadvantages and provides an ideal solution for hybridising passenger cars. The system does not include hazardous chemicals that are associated with battery cells, which in some cases prove difficult to recycle. It also has a much greater lifespan than batteries – approximately 20years, without suffering performance degradation due to age. It is also a comparatively cheaper and lighter solution than the battery equivalent, and can be retrofitted into numerous existing vehicles. YOKOHAMA, Japan / GROVE, UK – NISMO, the performance orientated brand of Nissan and Williams Advanced Engineering, a division of the Williams Group, today announced an agreement to collaborate on the development of high performance road cars. Using their specialist expertise of aerodynamics, simulation and material science, Williams Advanced Engineering will join the engineering development team from NISMO currently working on developing future NISMO products for launch worldwide from 2014 and beyond. Commenting on the news, Shoichi Miyatani, president of NISMO said: "NISMO is a brand built from over 30 years of racing experience and so it is fitting that we chose to work with a like-minded company such as Williams to develop the higher performance versions of our products. Williams have a proven history of making racing technology benefit road cars, and we look forward to starting this relationship during such a period of intensive product development for NISMO." Sir Frank Williams, Founder and Team Principal added: "Williams Advanced Engineering has a history of developing world class, high performance products and this agreement is particularly exciting because of the ambition and potential of the NISMO brand. Both parties share a passion for racing and cutting edge technology and this collaboration will see us work closely together to develop cars that will be at the forefront of automotive technology." NISMO is already well-known to motorsports and performance car enthusiasts in Japan and to millions of global gaming enthusiasts. Now, NISMO is poised for accelerated global impact, enhancing Nissan's reputation for innovation and excitement with a new line-up of sporty Nissan road cars. The GT-R NISMO will be the third NISMO-badged model following the launch of the Juke NISMO and 370Z NISMO this year. In February this year, NISMO kicked off the start of a new era in its development as a global performance brand with the official opening of a new global headquarters in Yokohama, Japan. Nissan is promising a rapid pace of introduction of even more NISMO models, at least one model every year during the Nissan Power88 period, encompassing the breadth of the Nissan road car range. NISMO, a short form of "Nissan Motorsports," is the performance brand for Nissan, and is one of the company's purveyors of innovation and excitement. NISMO offers products featuring innovative technology and high performance to a wide range of customers for street use. NISMO cars provide exciting driving experiences with motorsports-inspired aerodynamics and styling, enhanced handling characteristics and unmatched agility. In the motorsports world, NISMO competes in the highest forms of GT and sports car racing, such as Japan's Super GT Series and the World Endurance Championships (WEC), as well as providing engines to teams that compete in the 24 Hours of Le Mans and the European Le Mans Series (ELMS). In 2012, the Nissan GT-R captured the Super GT championship for the second straight year. Nissan Motor Co., Ltd., Japan's second-largest automotive company, is headquartered in Yokohama, Japan, and is part of the Renault-Nissan Alliance. Operating with more than 267,000 employees globally, Nissan sold more than 4.9 million vehicles and generated revenue of 9.6 trillion yen (USD 116.16 billion) in fiscal 2012. Nissan delivers a comprehensive range of over 60 models under the Nissan and Infiniti brands. In 2010, Nissan introduced the Nissan LEAF, and continues to lead in zero emission mobility. The LEAF, the first mass-market, pure-electric vehicle launched globally, is now the best-selling EV in history. For more information on our products, services and commitment to sustainable mobility, visit our website at; http://www.nissan-global.com/EN/. 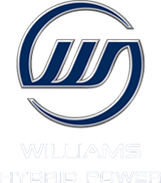 Williams Advanced Engineering is the division of Williams that takes cutting edge technology and know-how originally developed for Formula One and adapts it for a wide range of commercial applications. This includes the design and manufacture of high performance vehicles, the development of battery and flywheel energy storage systems, commercial applications of Williams' motorsport simulation technology, and engineering consulting and systems integration services. Based at the Williams factory in Grove, Oxfordshire and the Williams Technology Centre in Qatar, Williams Advanced Engineering brings the best of Formula One technology to the wider world.